For a fact, career demands and other routine errands can take most of your time. This denies most of us a chance to strike a balance between working out and your career demands. Well, you might not have enough time to work out. How then do you utilise the little time that you have? Well you can incorporate a simple and vigorous training style spread across short time frame. The 7-minute android app the perfect addition to your android phone that will give you a chance of quality exercises spread over intervals of 7 minutes. This app features well-researched set of twelve 30-seconds routine exercises spread across an interval of seven minutes with periodic 10-sec rest time in between. The 7-minute workout is a smart app that allows you to choose suitable exercises based on a myriad of personal attributes. 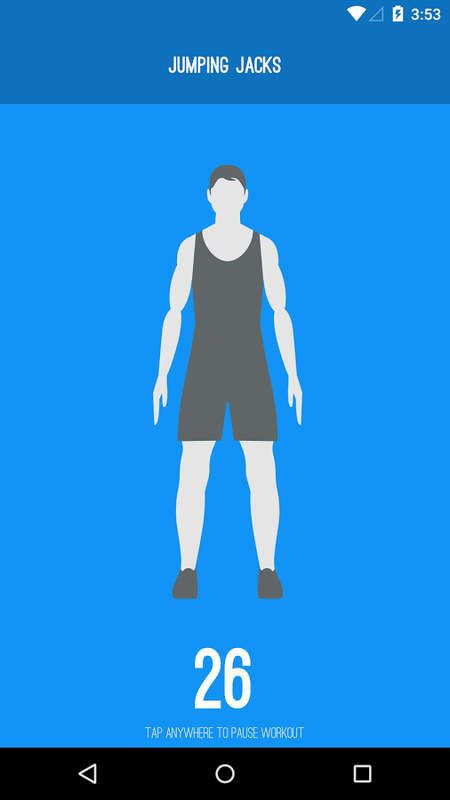 Age, is a very important consideration feature in this app that makes it app perfect for people of different age brackets by suggesting appropriate workouts based on these parameters. Exercises should be executed procedurally. This is the only way to ensure that you keep a close eye on what you have done and what you have not. This app features a systematic guide to your workouts than injects some aspects of sanity into your workouts. In addition to this, they also incorporate audio and video animation videos to help you the best out of this 7-minute workouts. 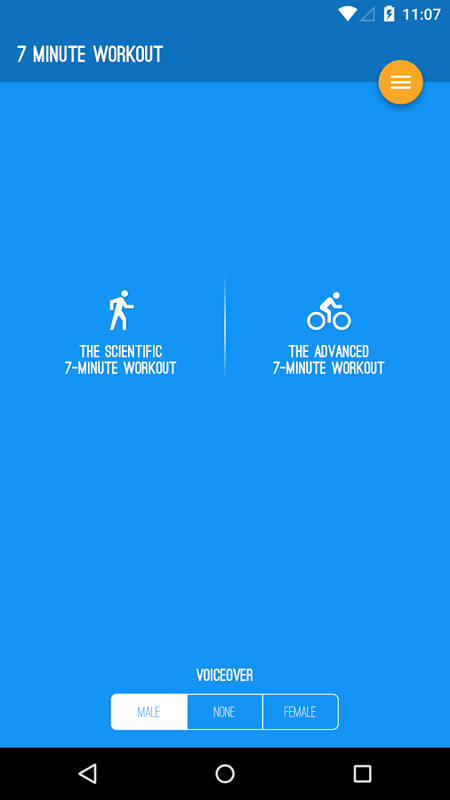 Besides its brevity, the beauty of the 7- minute workout app is that you do need high-end workout equipment to workout. Actually, what you need is a wall, space and a chair. Since this workout app features simple and easy to do workouts, you can always kick-start your day with some simple and engaging exercises. When following the 7-minutes workout, it is worth noting that repeating it once or twice helps you realise the full effects of that workout. The app also features a detailed and easy to read user interphase. Courtesy of the high quality audio and visual guides, this app gives an elaborate explanation about the exercises therein, that serves to ensure you do not miss out on any detail of your workout. Well, personal preferences influence you decision to choose some workouts over others. This app is fully customizable allowing you to choose the workouts you like and set aside those that you do not. This achieved by hitting the like or dislike prompts. This app then gives you timely reminders about these two classes of workout on social media. To inject some completion or responsibility, this app also allows you to share your workout stats on social media for your friends and family to see. This interval-training app comes with some features that have made a hit with most android users. Its elaborate UI, audio-visual prompts for every step and actually you need not to have timers to keep track of what you are doing. The only way to realise lasting results is to avoid even the slightest levels of non-compliance to these training schedules. Invest in your health, and enjoy and achieve lasting wellness with this free android app. 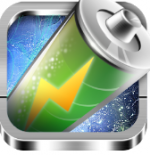 SUDO BATTERY- YOUR ‘PERSONAL’ BATTERY DOCTOR!